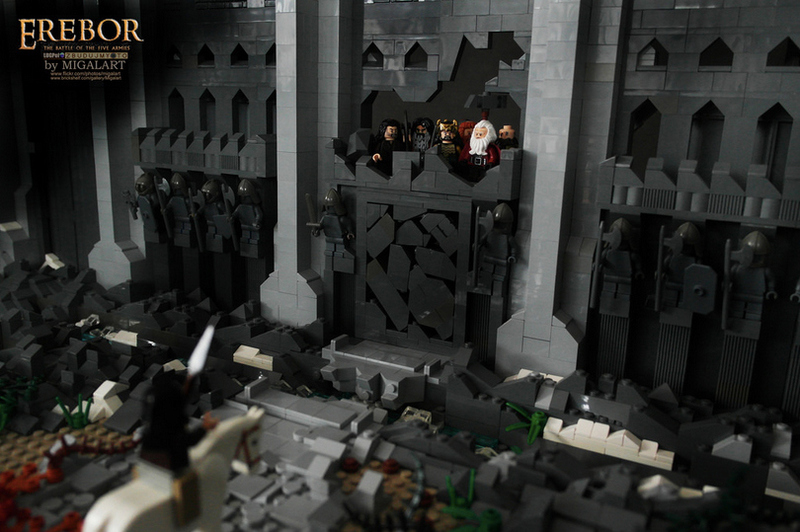 With LEGO releasing dozens of kits from the famed Lord of the Rings and Hobbit franchise, fans around the world have been able to recreate their favorite scenes from the classic fantasy novel series with the building blocks. 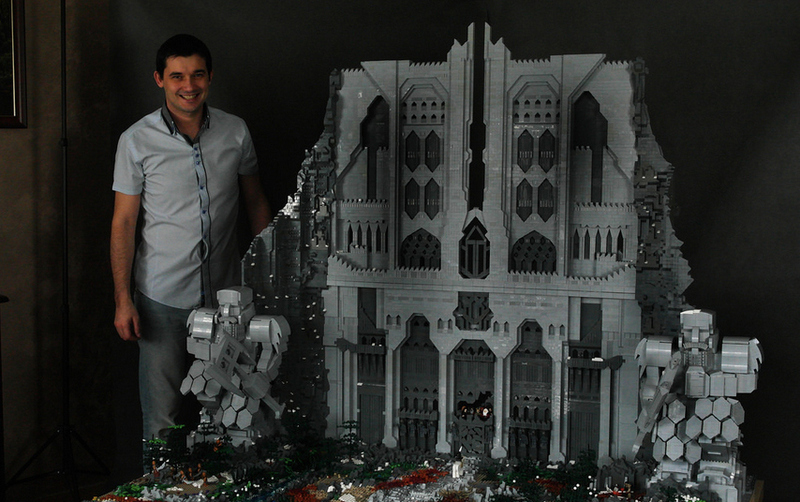 However, LEGO artist and builder Michal Kazmierczak has taken his love for both the building toy and the LotR franchise, and used it to create a massive replica of the Lonely Mountain, Erebor! 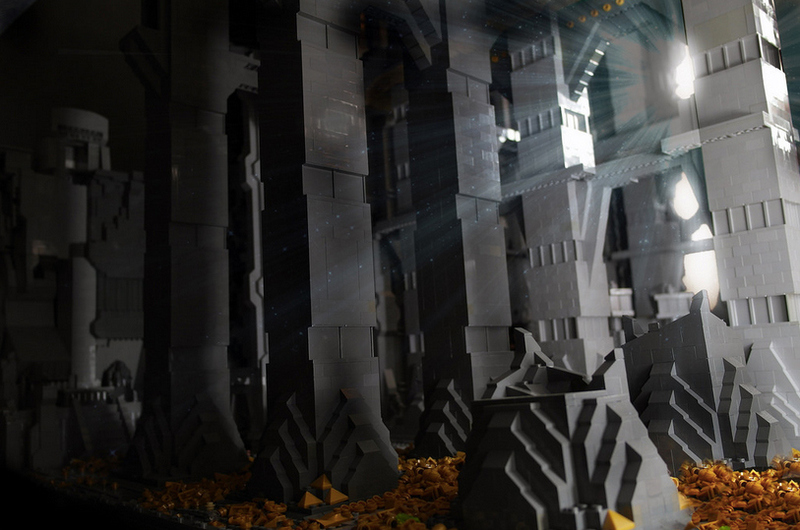 Featured in the Hobbit book and movie series as the home of the dwarves and the lair of Smaug the dragon, Kazmierczak’s version of it stands at a mighty 7′ tall, extends over 5′ deep, and includes over 120,000 individual LEGO bricks! 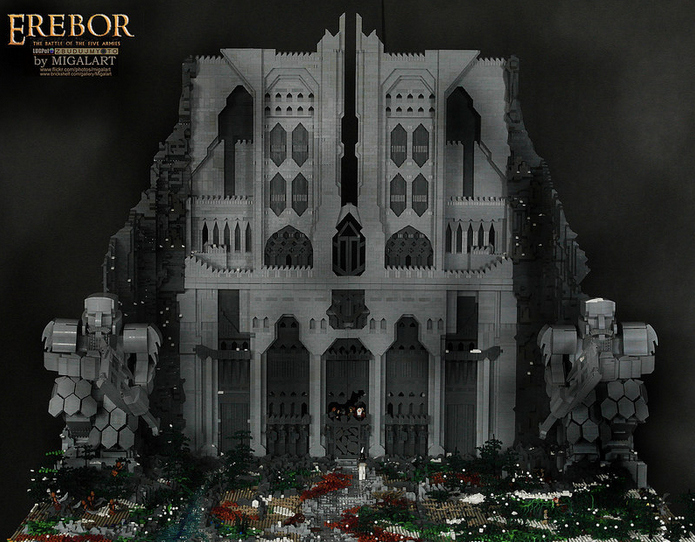 If the towering wall structures and imposing dwarven statues at the entrance weren’t enough, the set features a fully-detailed landscape in the front, as well as detailed interior, recreating the gold-littered hallways and chasms of the Lonely Mountain in LEGO bricks. A number of famous scenes are also featured, and includes unique cracks and lighting in the set itself to fully realize the look and feel of the location. 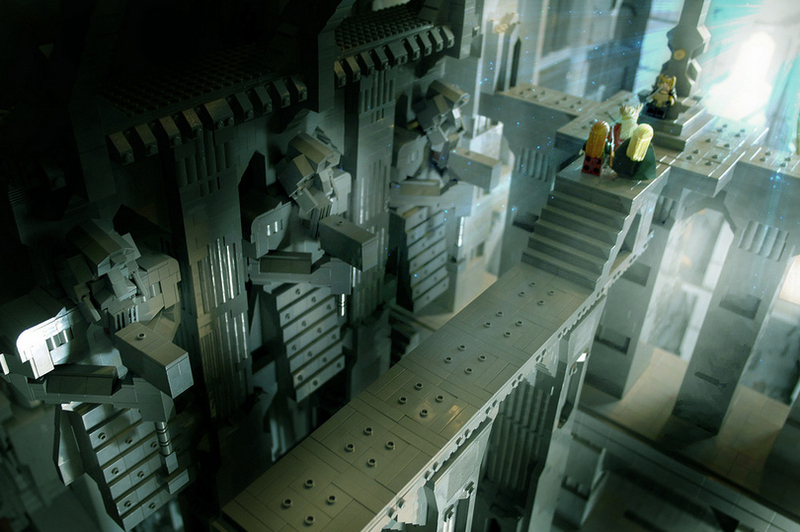 While the set itself is completely unique and unavailable for purchase, just seeing the amazing attention to detail and scale of the piece is enough to make any fan excited to see what Kazmiercazk will do next with his LEGO hobby!